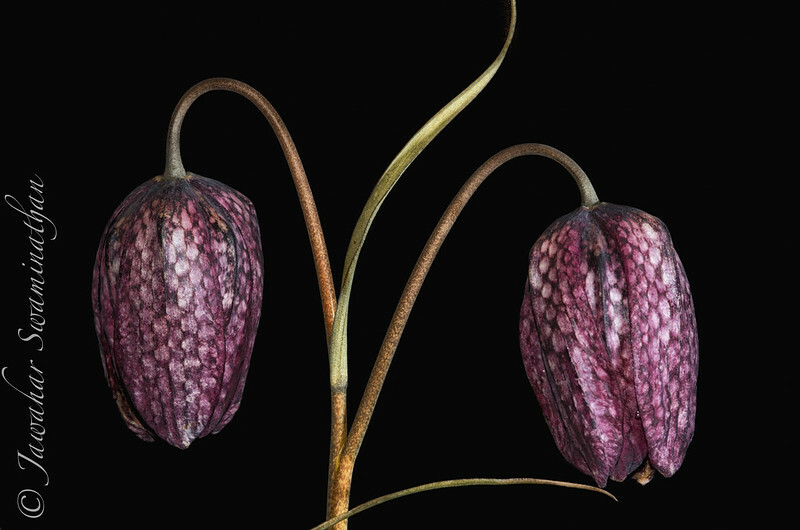 Fritillaria produce downward pointing bell-shaped flowers in spring. Spring finally arrived in Cambridge this week. The garden suddenly woke up from its long winter slumber and burst into colour. 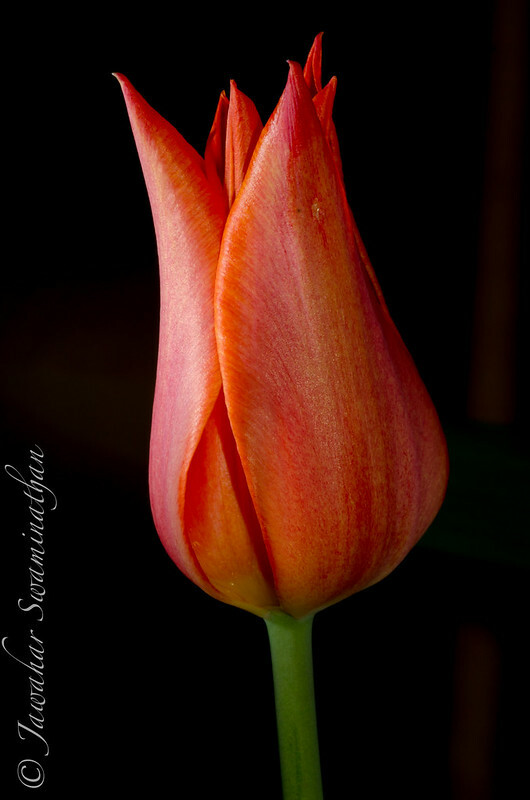 Daffodils, Crocuses and now tulips are in bloom. 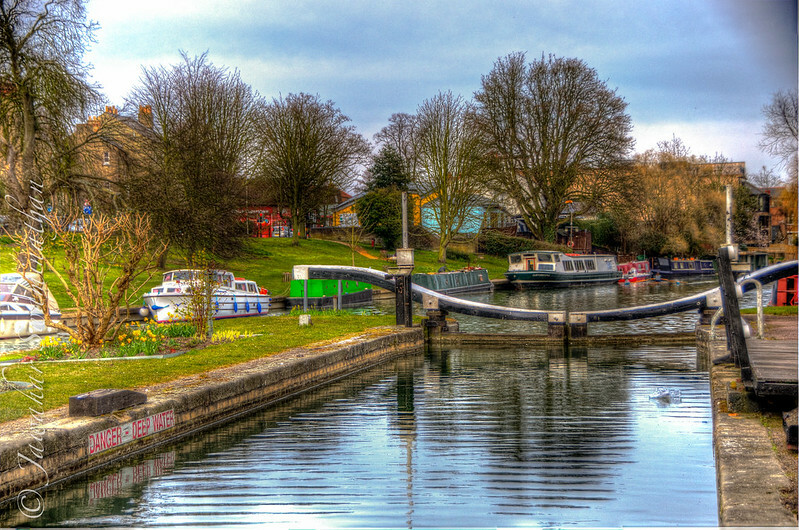 Another two images of the Jesus lock on the river Cam in Cambridge. Locks are used to raise or lower boats between stretches of water of different levels. 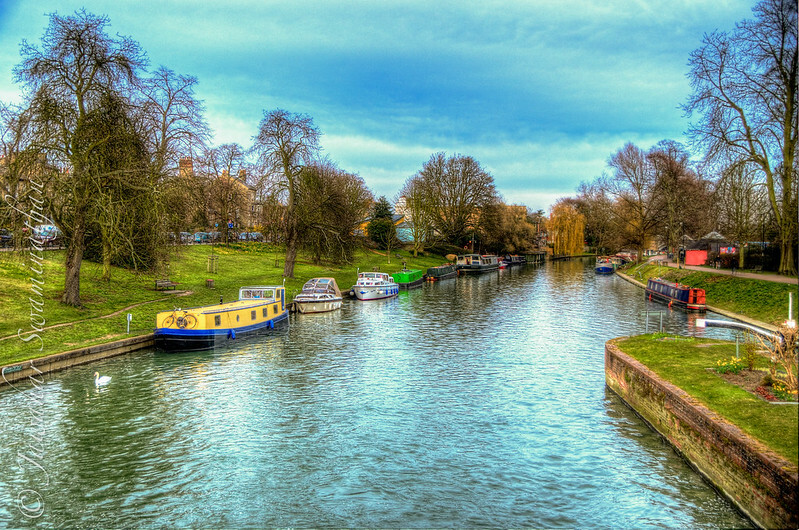 The Jesus lock was built in the late 19th century and is now maintained by Conservators of the River Cam, the navigation authority for the River Cam established in 1702. The lock is on the right of the picture just beyond the island. The broad stretch of river in the centre flows by a mini-waterfall due to differences in level. HDR generated by bracketing 3 photos in Photomatix Pro. 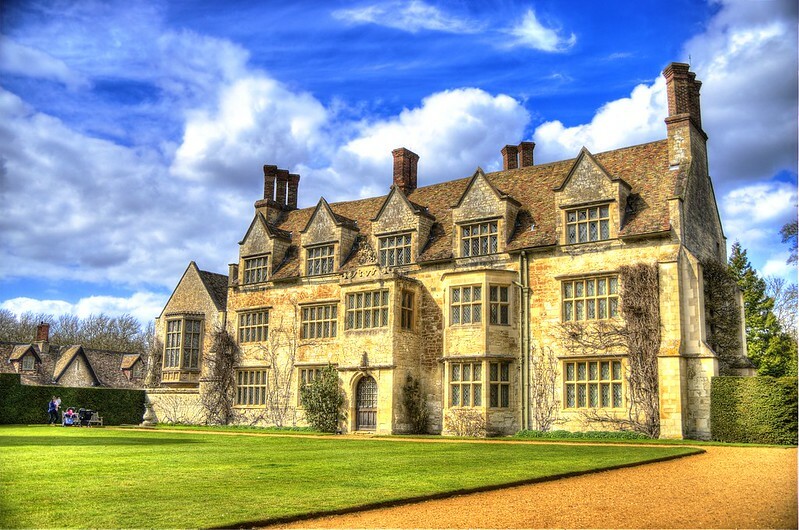 Anglesey Abbey is a National Trust property comprising a country house and over 50 acres of landscaped grounds and gardens. The last owner of the property 1sr Baron Fairhaven is credited with laying out some of the largest gardens in 20th century Britain. He left the property to the National Trust on his death. 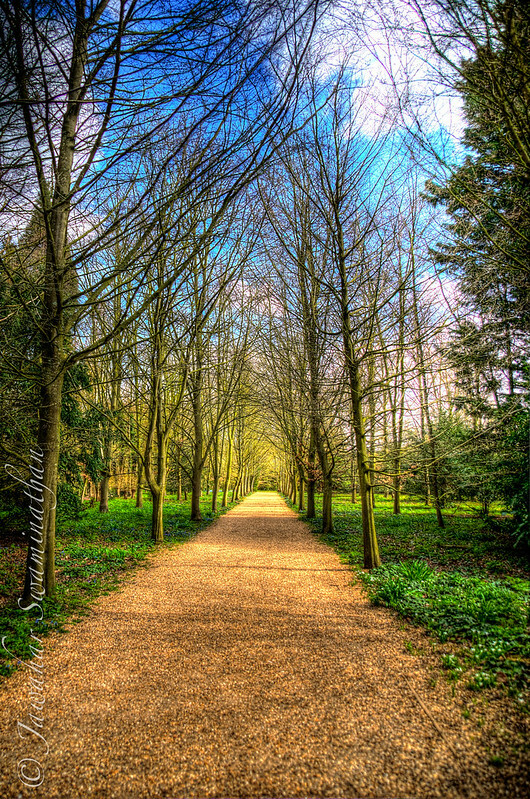 The pictures below are from the Anglesey Abbey country manor. All the above pictures are 3-shot bracketed photographs merged in Photomatix Pro. 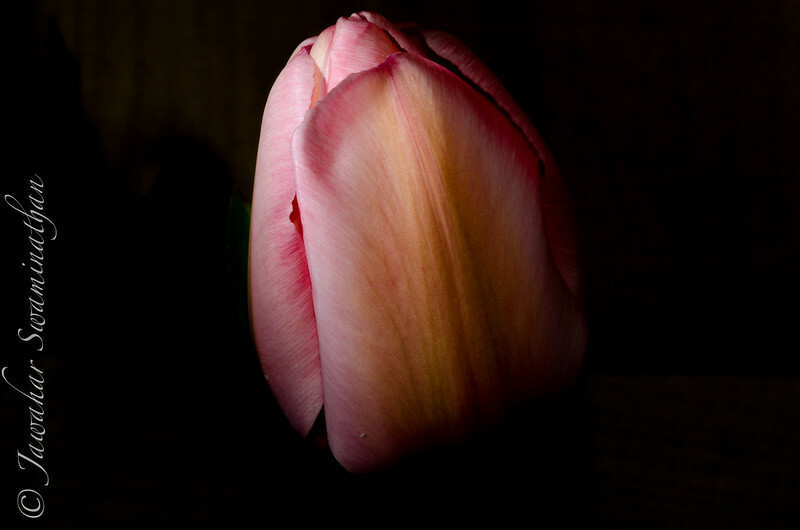 Please click-through any picture to go to flickr. 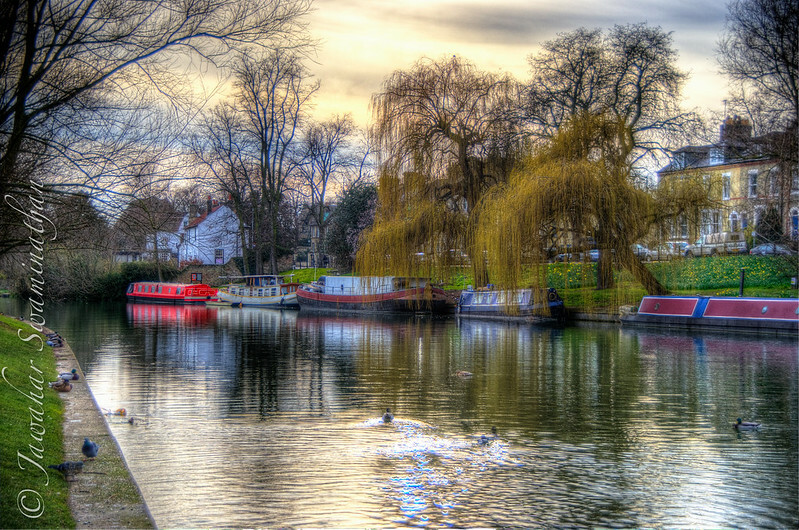 This is a HDR representation of early evening on the River Cam near Jesus Green, Cambridge. This view shows direction of flow of the river which ultimately joins up with the Great Ouse near Ely. 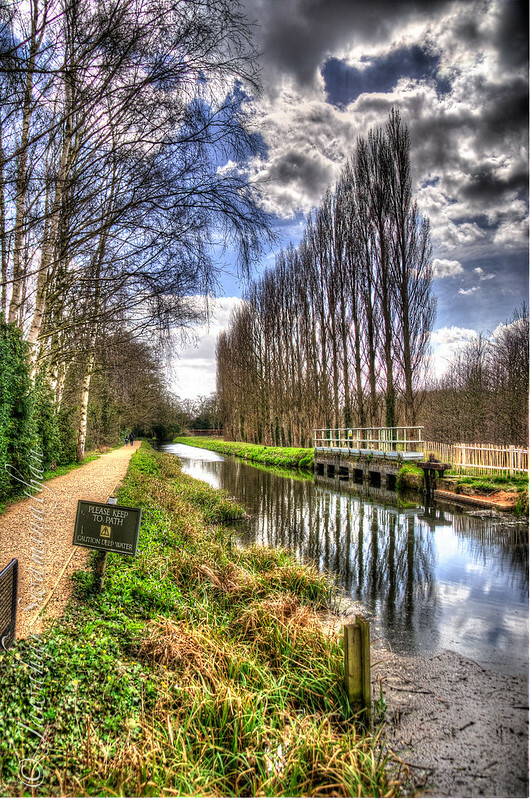 This section of the Cam is wide enough for boats to navigate (a few can be seen in this photograph). 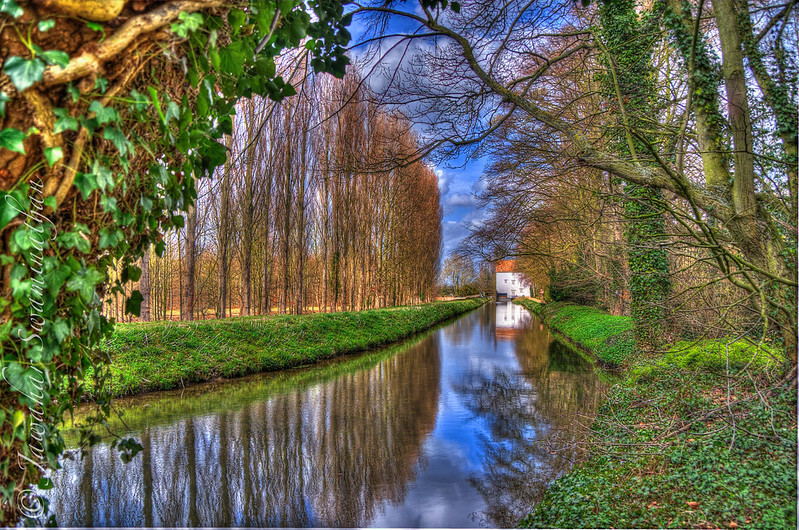 This photograph is a HDR of 3 bracketed shots at -2, 0 and 2 ev post-processed in Photomatix Pro.